We are not unlike the disciples in today’s Gospel reading. We too find it much easier to recite what we know about Jesus from others. Maybe it’s the biblical quotations that we memorized from Sunday school. Maybe it is what the Preacher said on a Sunday morning. Maybe it’s from a book we have read. Most of us have no problem doing this. But when it comes to defining who Jesus is for our selves, many of us go into a panic. Even people who are comfortable in speaking in public will freeze up when they are asked to tell us who Jesus is for them. Why is this so hard for many of us? There are more people willing to risk asking this question of who Jesus is for them. Thus, we are hearing this question being asked more and more these days and not just in the church. Just a few years ago Time Magazine had a cover story that asked “Who was Jesus?” The article was in response to a very controversial movie that had come out, Martin Scorsese’s Last Temptation of Christ. The article goes on to offer “a diversity of Jesus’s,” and encouraged the reader to takes one pick. A few years ago the then Moderator of our church, Bill Phipps’s, made what was for many a controversial statement about Jesus. He said that Jesus was not fully God. Thus God was much more than Jesus. When I first read his statement I was not shocked at all because this is exactly what I believed. I believe along with Bill that Jesus was probably the most God conscious person to have ever lived. But for many his statement was sac religious because he went against tradition that said that Jesus was totally God. Even though this caused some discomfort in our congregations it got not only United Church people talking about whom Jesus is for them but got the whole community talking about it. For the first time in recent times people from all walks of life were being encouraged to reflect on who Jesus was for them. What image of Christ do you have at this time in your life? How has that image changed over the years, or has it? However, as Marcus grew up and learned more about the Scriptures his simple understanding of his faith became meaningless. He was now hungry to have a faith that connected with all of who he was. It was a faith that would grow out of his very being. This was not an easy journey. This was the big aha that opened him to experiencing Jesus in new ways; that God is present in all of us. This transformation in my understanding of God began to affect my understanding of Jesus. I now was able to see the centrality of God (or “the Spirit,” to say the same thing) in Jesus own life. I began to see Jesus as one whose spirituality — his experiential awareness of Spirit – was foundational for his life. This perception became the vantage point for what I have since come to understand as the key truth about Jesus: that in addition to being deeply involved in the social world of the everyday, he was also grounded in the world of the Spirit. Indeed, as I shall observe from several perspectives in this book, Jesus’ relationship to the Spirit was the source of everything that he was. Thus, for Marcus Jesus comes alive through our relationship with the Holy Spirit. It is a relationship that is growing and changing, never static. It is a relationship that leads into doing things that one never dreamed of. It pushes us beyond the limitations that we and our societies put upon ourselves. So who is Jesus for you? I will begin the dialogue by sharing who Jesus is for me. 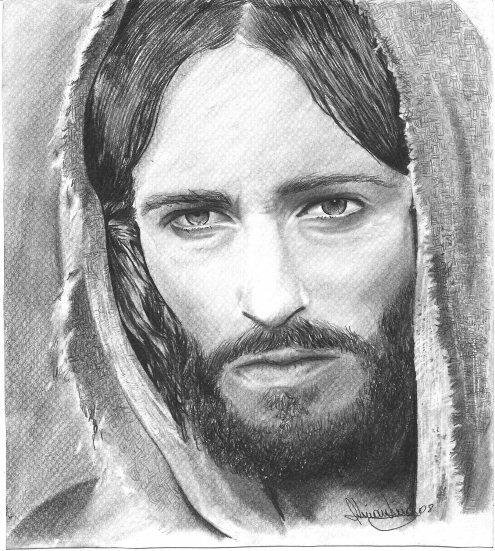 For me Jesus is one of most God/Spirit conscious persons to have lived. At this time in my life I see Jesus as both healer and liberator. Jesus has shown us the way to the Spirit who helps us to discern what we need to do and how to go about doing it. Most importantly Jesus through the Spirit heals anything within and around us that may be blocking us from living out God’s love in the world. We can trust that Jesus will do his part, but will we do ours? What is our part? For me our responsibility is to willingly open our hearts to God and then have the courage to live this love out in everyday life. We then reflect God’s healing love wherever we go. I could go on much longer, but it is time for you to take a moment in silence to begin to reflect on this question.” Who is Jesus for you? Love changes us whether it is shared between people and/or God. Love calls us forth to be more fully ourselves. It allows us to come out of the cave of fear, allowing the light of God to shine on us and transform us. To love and be loved by Christ requires to have an intimate relationship with the Holy Spirit and thus reflect the compassion of Christ wherever we go. So, who is Jesus for you? What is he inviting you to do? Surrender all that holds you back and allow Jesus and the Holy Spirit to keep working through your heart. May each of us find the abundant new life in Christ!!!! What an amazing story. Can you imagine being asked to feed about 10,000 people? Remember while the story says 5000 men, it also says there were women and children. So I would estimate there would have been a minimum of 10,000 people. Now that is a lot of people to feed with five loaves and two fish! Can you imagine being one of the disciples asked to do this? I think I would tell Jesus that he is not being practical. So I would have gone along with the rest of the disciples asking the people to go into town to find their own food. Now that makes sense to me. What would you have done? It doesn’t matter to me if this story was based on fact or whether it is a metaphor. The important point for me is that Jesus calls upon each of us to help bring in the Kingdom of Heaven. To change lives for the better. 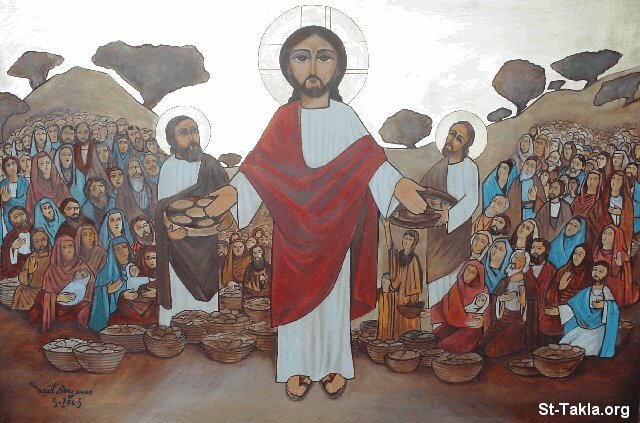 Sometimes it feels like I am being asked to do the impossible, kind of like trying to feed 10,000 people with five loaves and two fish. I say to Jesus you are not being reasonable. How can you expect me to make a difference in the world? Jesus says, that not unlike the story of the loaves and fishes, our faithful living is multiplied beyond anything we can imagine when we do the work of Christ. So while are our acts of justice, love and compassion may seem small and insignificant they do impact our world making it a better place. If you think about it for a minute there are probably things you do in your life because Jesus has called you do so. I can think of things I do because I feel called by the Spirit to faithfulness. I am a minister when at one time of my life this seemed to be impossible because it was going to require me to do things I was not comfortable nor felt competent to do. Today, I feel called to learn and share the Enneagram, a very powerful spiritual tool, even though it requires me to go to school in my middle years of life. Something I had some fear of doing. This was a fear of failure. There are also people I feel compelled to connect with, even when if left to my own devices I wouldn’t bother to do because of my own prejudices. How has your faith influenced your choices in life? So I walked into a church in the inner-city. This church serves breakfast every morning of the week to people who are homeless. There they are, serving breakfast to around 150 of the homeless every day. Other churches pitch in to help them with this task. Still I’m surprised, when I walk in one morning and glance in the kitchen and see a man whom I had met elsewhere. I recognized him as a member of one of our city’s most affluent congregations. I spoke to him and he, looking up from the dishwater, spoke to me. I thought it was rather remarkable having a man like him, from a church like his, there, washing the dirty dishes of homeless people. So I attempted to engage him in conversation. “I think it is great that you are here,” I said. “I am glad that you think it is great,” he mumbled as he continued in his work. “I am curious, have you always enjoyed ministry to the homeless?” I asked. “Have you sat down and talked with our guests here? A lot of them are homeless for a reason. A lot of them are half crazy,” he continued. He looked up from his work at the sink, and said to me, with a tone of exasperation in his voice, “Because Jesus put me here. That’s why.” Then he continued in his work. It’s a heck of a way to get the job done, but it’s uniquely Jesus’ way. Isn’t it amazing what Jesus can get us to do! That Jesus can be so irritating!! Jesus calls us over and over to change lives. To change our own lives. To inspire those around us to change their lives. To become more and more like who Jesus calls us to be. This is not easy work. How are we changing lives through the ministry of Foam Lake United Church? In the weeks and months ahead Jesus is calling us as a congregation to focus on this. Isn’t transforming lives what we are really about? Too often congregations focus too much on keeping our organization and building going. We forget who we really are called to be. I invite each of you to pray and listen for what Jesus is calling us to be about. One thing some people will need to change is our expectation that people will come to us. We too are called like Jesus to go out of our building into the community to share the Good News in words and action that God has given us everything to live well. In our culture we focus a lot on whether something we do is successful. I think we need to remember that Jesus was not focussed on success, but on faithfulness. As your minister there are a lot of things I do and I have no idea if it makes any difference. Also what the world considers signs of success such as money and power over, are not Jesus’ concerns. Jesus wants to know if we have been faithful. The Spirit calls on each of us to trust that the Spirit will take what we have offered and use it for the glory of God. We may not see the change because it was too subtle. We may not see the difference because it will be years before it is noticeable and probably happen after we have died. We need to have faith that God will multiply our love, sowing seeds of change around our world. Christianity has moved in a full circle. We are coming back to our original purpose. Along the way we got sidetracked when we became part of the ruling/civic structure that put the emphasis on holding on to the status quo. Now more and more Christians and congregations are returning to the ancient way that says we are here as the faithful whether individually or as congregations to mend the world. This is never an easy change to make, but the rewards are amazing when dwindling congregations find new life in birthing love, peace and justice to all they meet and seek out.